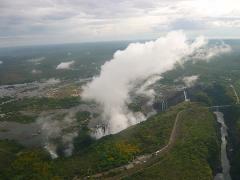 Victoria Falls - one of the seven natural wonders of the world. Walk through the magnificent rain forest where you are able to view the largest falling sheet of water on earth, Livingstone’s statue and a wide variety of birds and plants. The trumpeting of a bull elephant , white sand beaches and emerald green mountains. Experience these & the best of the Cape & Garden Route, renowned for their natural beauty, the wildlife of the Kruger and the majesty of the Victoria Falls. 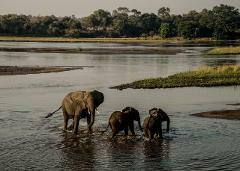 Highlighting Zimbabwe, begin your journey with a visitto Mana Pools and the Zambezi. 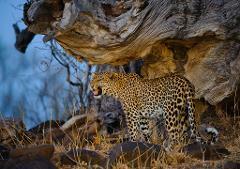 The area is famous for its excellent game viewing. 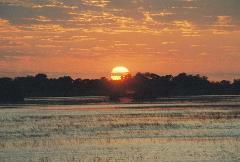 Continue on to Hwange National Park where you will experience truly authentic wilderness. Highlighting Zimbabwe, begin your journey with a visit to Hwange National Park where you will experience truly authentic wilderness. Then off to Lake Kariba for 2 days then Mana Pools this area is famous for its excellent game viewing. 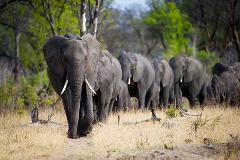 A walking safari has long been regarded as one of the finest ways to get a feel for the African wilderness. 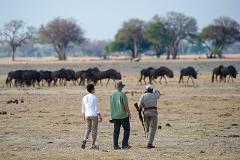 Hwange Walking Safari allows guests to get their feet on the ground and really feel, smell and touch Africa. 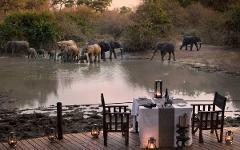 Fly to Mana Pools and spend 6 nights at Kanga Camp & Zambezi Expeditions. Then take your journey to Chilo Gorge and spend 4 nights at Chilo Gorge Safari Lodge. This incredible adventure highlights the best Zimbabwe has to offer.